Simple but practical and economic wallet made of blue fabric with a drawn pattern butterflies. Multitude of spaces to store your belongings. 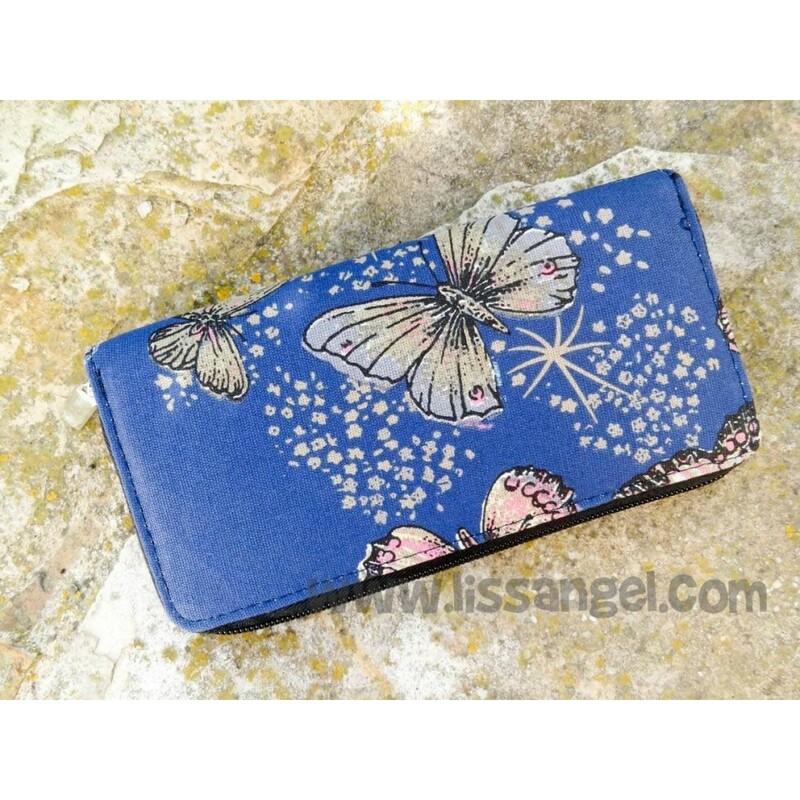 With this wallet with butterflies, we have a wallet that has it all: good, nice and cheap. Made of fabric, it have a zipper that slides very smooth. The butterfly pattern is very original. We offer it at a very economical price. It has 12 spaces for cards, 3 separate extra spaces, and a zippered pocket for coins. Enjoy our animal wallets! Elegant "army green" color wallet, with a detailed metal butterfly embedded in the side. Beautiful and elegant wallet made of synthetic leather, printed with a horse and his carriage, with an old town in the background. Take a look to this owl decoration made of synthetic leather bag, composed by three parts coupled together by "click" type buttons. This way, you can choose how many parts use depending of your needs. Practical wallet with opening book or cigarrete box type with "Santoro Gorjuss" similar design. The image of a sweet girl surrounded by friendly dogs makes it very funny. Reinforced Wallet Girl with Cat "Gorjuss"
Large wallet with nice design. It is opening book or cigarette case type and it is reinforced as it has a metal frame around the perimeter. One of the purses for excellence for all cat lovers. Soft purse shaped like a head tabby cat with glasses. Can be a cat so cute? 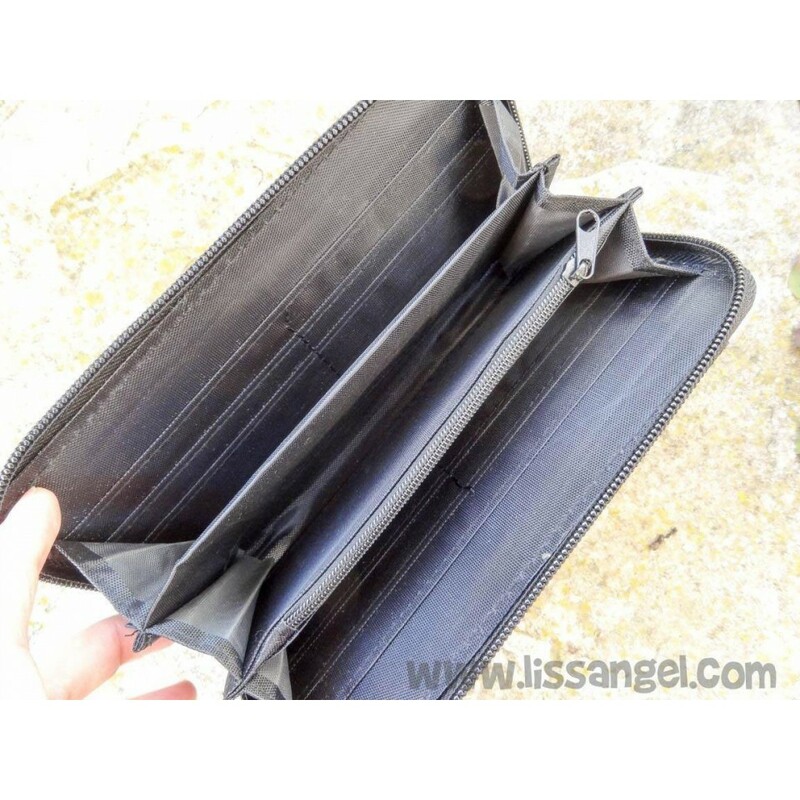 Practical and pretty soft synthetic leather wallet. A large and detailed butterfly decorates both sides of the wallet, surrounded by roses. Reinforced metal zipper and many inner compartments. Four colors to choose from.